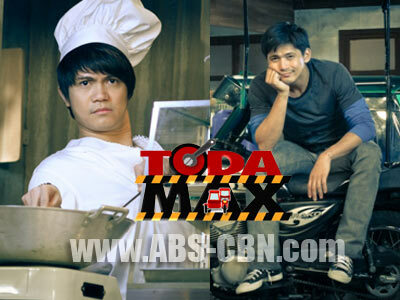 Pokwang finally found her match in this Saturday's episode of the top-rating hit sitcom "Toda Max!" Her former boyfriend visited her in Beverly Hills! The man and the ex-lover of Lady G. (Pokwang) is no other than the Kapamilya returnee Mr. Joey Marquez! A comedian loves a comedianne...! This is how we can describe the tandem of Joey and Pokie in the said sitcom! Witness how Joey Marquez adds twist in the love life of Lady G. Will it be a love triangle now between him, Tol (Robin Padilla), and Pokie?! If Pokie is about to choose between her past and present love, who will she prefer between Joey and Robin?! This special guesting of Joey Marquez this Saturday night truly adds more fun and laughter in this hit hilarious sitcom "Toda Max." And his role is definitely a very significant one being the love interest of the comedy goddess Pokwang!